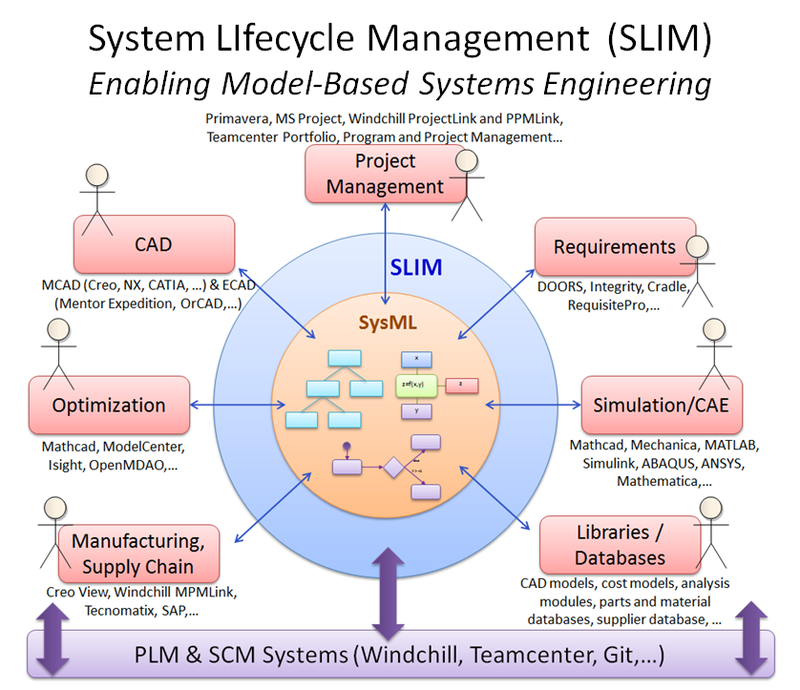 SLIM (Systems LIfecycle Management) is a software environment for integrated model-based systems engineering, founded on SysML (OMG Systems Modeling Language) and PLM (Product Lifecycle Management) toolsets. With this approach, system engineers can develop and manage the high-level architecture of a system/product in SysML and simultaneously connect, communicate, and sync with detailed requirements, parts (bill of materials and CAD), simulation models (MATLAB/Simulink, Mathematica, CAE) and complex data structures that are version managed and configuration controlled in enterprise-strength PLM systems (such as Teamcenter and Windchill) and object-oriented / relational databases (such as MySQL). 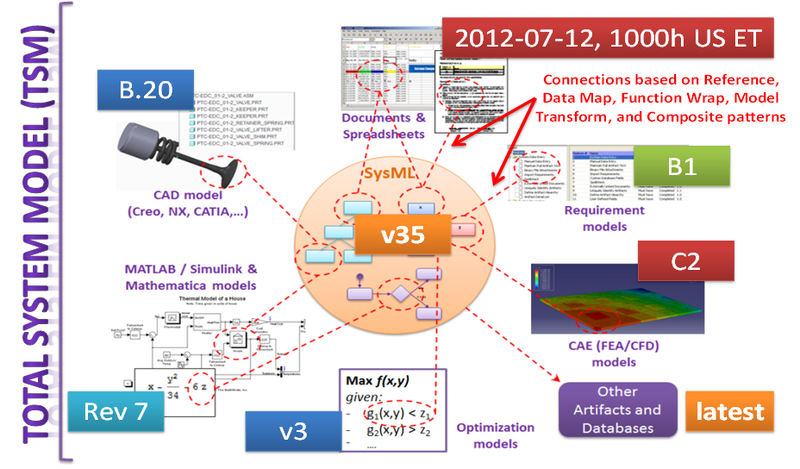 SLIM enables the creation and management of the Total System Model (TSM) for any complex system, as shown below. The TSM provides a unique model of the system—federation of multiple models—that evolves continuously during the system development process and serves as the digital blueprint of the system through its lifecycle. At any given point in time, the TSM includes the SysML model(s) of the system and domain-specific models, all of which are at specific versions, and the connections between them. SLIM enables system engineers to connect to enterprise-strength product lifecycle management (PLM) and database systems, such as Teamcenter, Windchill, and MySQL from their SysML modeling tools, such as MagicDraw, Rhapsody, Artisan Studio, and Enterprise Architect. Once connected, system engineers can generate SysML block/requirement structures from part and requirement structures in the PLM repositories, or vice versa, using simple drag-and-drop operations. 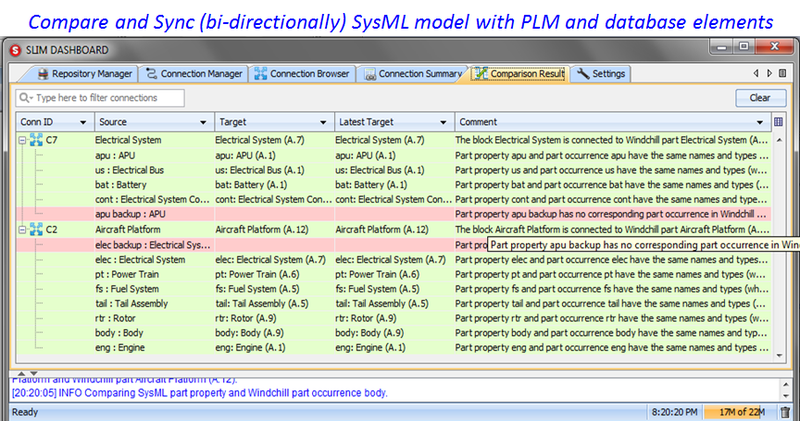 System engineers can compare the SysML model with the part and requirement structures in the PLM systems and synchronize them in both directions. With the MySQL connection, system engineers can generate SysML blocks/instances from MySQL tables and rows, or generate MySQL tables/rows from SysML blocks/instances, and synchronize them in both directions. 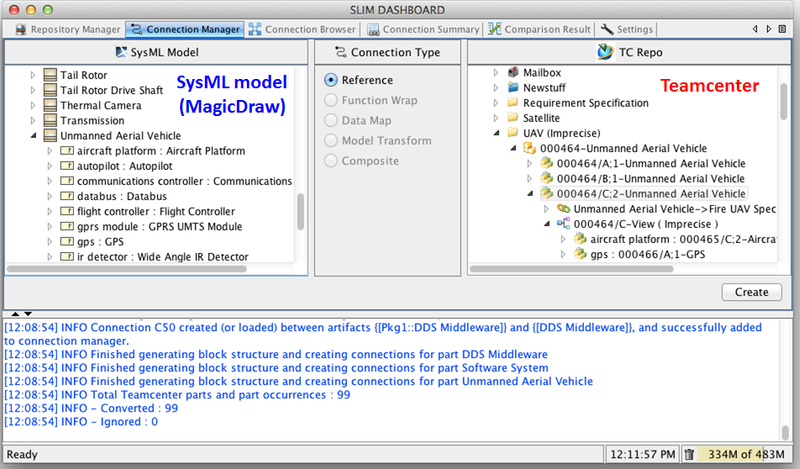 SLIM is available as a plugin for SysML modeling tools. 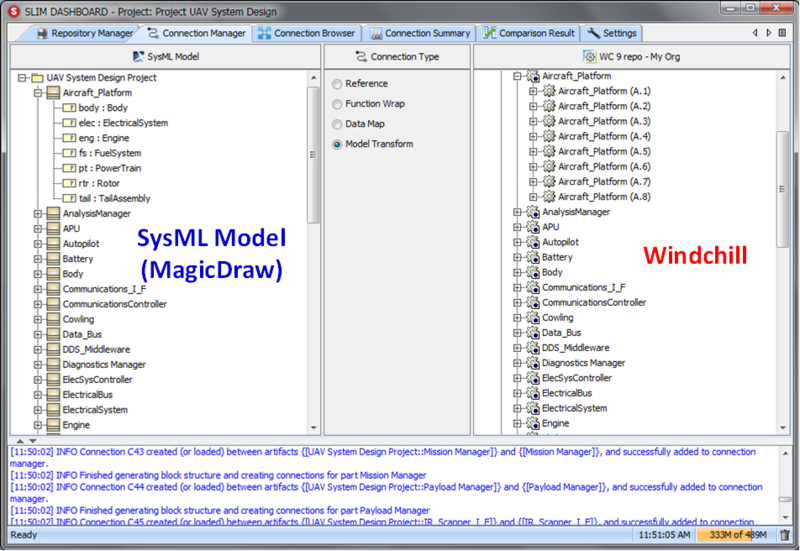 Once installed, users can launch the SLIM Dashboard from their SysML model(s) and connect, communicate, and sync with models and elements in multiple PLM repositories (Teamcenter, Windchill) and MySQL databases. A single SysML model may be connected with models/elements in multiple repositories, thus enabling a federated and distributed total system model. I hope you are interested to join our webinar on Teamcenter on the Cloud, a cost effective and productive tool for the enterprise.